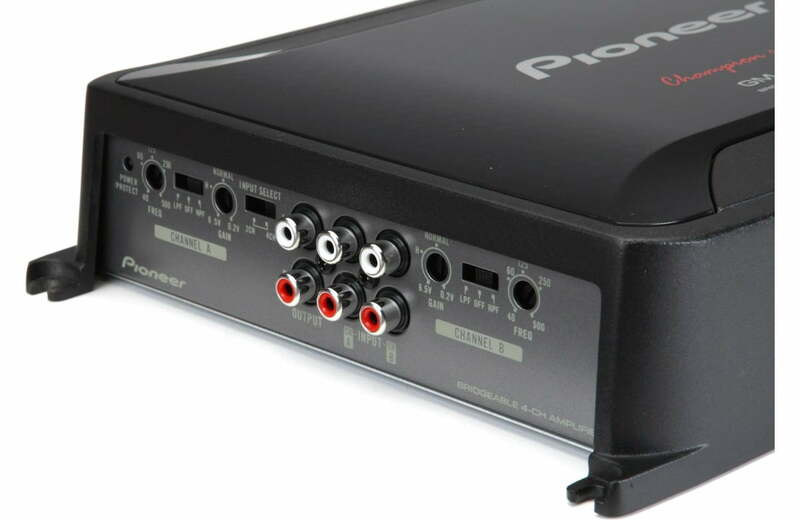 Pioneer GM-D8604 4-channel amplifier can send 100 watts RMS to each of your front and rear speakers, for powerful music that’ll get you and your car rockin’. 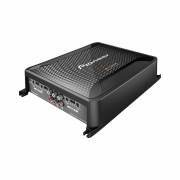 Highly efficient Class D technology keeps this powerful amp running as cool as it looks, and allows for a compact chassis that fits in a lot of out-of-the-way spaces. If you’re building a big system in stages, you can use this versatile amp at first to drive a pair of speakers with the front two channels while bridging the rear channels together to power a subwoofer with up to 300 watts RMS. Later on, you can get Pioneer’s big mono amp to drive your subs, and switch this amp over to run all four of your full-range speakers. For extra flexibility, variable LPF and HPF make audio frequency more adjustable according to subwoofer characteristics and personal listening preferences. 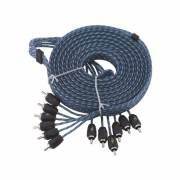 The GM-D8604 LPF and HPF are adjustable from 40 Hz to 500 Hz. What, you DON’T own a Pioneer headunit? Well, we won’t hold it against you. In fact we’ll even help you build onto your system. 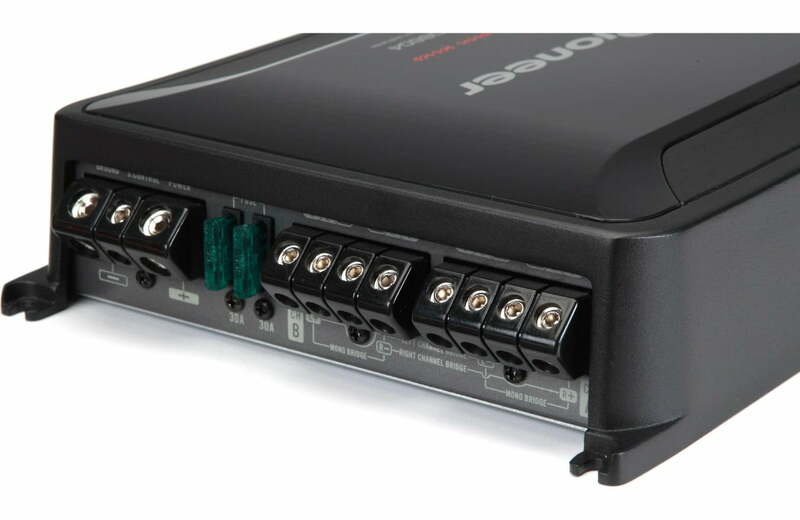 The GM-D8604’s speaker level inputs allow you to connect your OEM unit (or any unit that doesn’t have the typical RCA-type inputs) without having to buy add-on adapters. 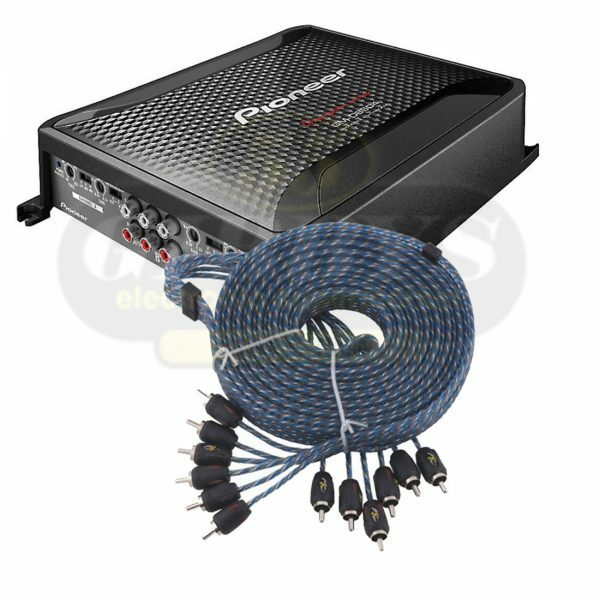 So, the install goes faster, you save money, and you’ve got a Pioneer amp in your vehicle. Crossover Slope – -12 dB/oct.